Psst! Stay tuned for our first ever gift guide going live here tomorrow. It may include a beautiful punch bowl to make one of the amazing recipes in the link below. Which of these predicted interiors trends for 2018 actually panned out? See what the design pros said on Vogue this time last year. We're personal fans of Peter Dunham's cry for more handmade pieces in our homes and hope that trickles its way into 2019. How stunning is this restaurant in Paris? Adorably dubbed Pink Mamma, you can wine and dine at this pastel paradise in the city's Pigalle District. Lamps are hard, no? We're fans of this round-up, which may put an end to your search before the new year. 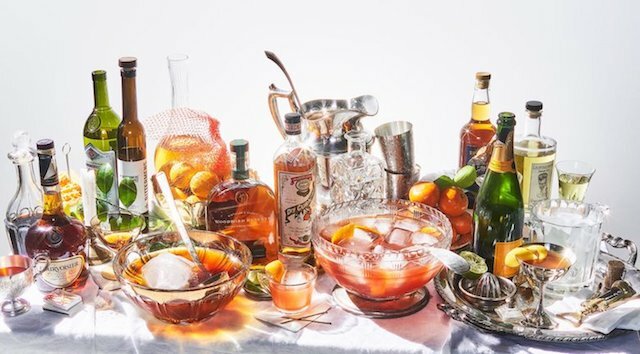 Read how this historic way of serving drinks is making a comeback just in time for holiday hosting. Five classic recipes are included if this is your first batch in awhile. If you're expecting the gift of art this year, lucky you! Look no further than here for five tips on how to proudly display your new piece in your home.